At a time when news headlines are dominated by disturbing stories about terrorism, social strife, and ugly politics, the world just found reason to rejoice: the Beatles are finally streaming their music. Everyone is reporting the announcement about the Beatles making their beloved catalog available to Apple Music, Deezer, Google Play, Microsoft Groove, Amazon Prime, Rhapsody, Spotify, Slacker and Tidal starting December 24 at 12:01 a.m. local time. The New York Times, TechCrunch, The Wall Street Journal, and Venture Beat are among the many news media jumping all over the news. But why are the Beatles streaming? After all, the Beatles don’t need streaming to continue succeeding commercially. 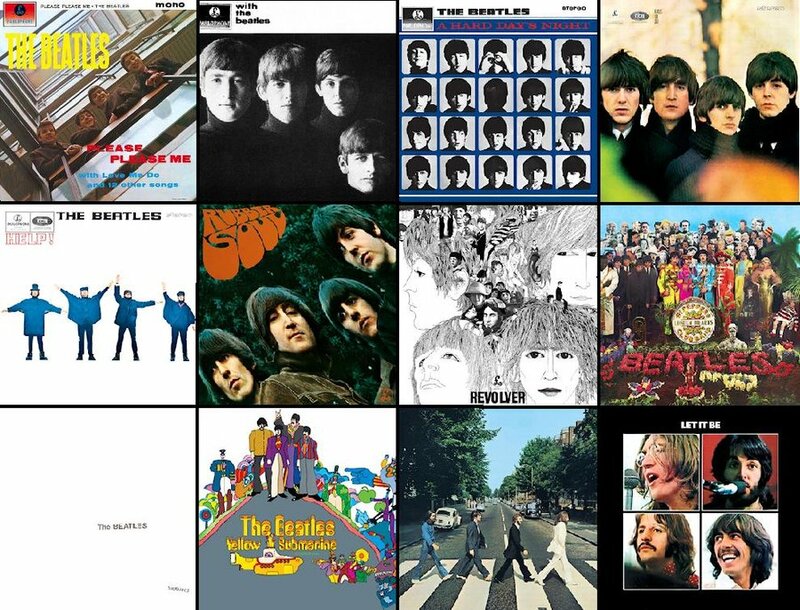 People buy Beatles albums even as albums continue to suffer a drastic sales decline in the digital era. The Beatles anthology 1, released in November 2000, still sells 1,000 copies a week (amounting to 12 million copies sold in the United States to date), even though “there’s really no reason for anyone who owns all the records to get this too,” as Allmusic critic Stephen Thomas Erlewine wrote. (1 was also just re-released as a special edition featuring a Blu-ray surround-sound format in November 2015.) And through a relationship with Apple formed in 2010, the music of the Fab Four has continued to sell in digital format even as downloading gives way to streaming. I believe the answer comes down to legacy. Especially Paul McCartney’s. The negotiations and agreements required to stream the Beatles music go well beyond Sir Paul. The stakeholders and decision makers are many: McCartney, Yoko Ono, Ringo Starr, Olivia Harrison, Dhani Harrison, and God knows how many attorneys at Apple Corps Ltd/UMG, which holds the rights to the music. But more than any of the surviving Beatles and their families, Macca has worked the hardest to keep the Beatles brand fresh for the digital era as part of a personal campaign to keep his own brand fresh. Through his words and actions, McCartney has been sharing his story, and retelling the story of the Beatles, with the urgency of a 73-year-old man who has accomplished much but sees the end coming. Here is a man who has enjoyed a successful career as a solo artist (albeit with some notable bumps in the road). And at a time when his contemporaries are slowing down, he continues to record well-received music and tour heavily. But even as he creates a strong body of solo work, he cannot stop talking about the Beatles and his role shaping the sound of legend. To wit: in July 2015, Esquire published an interview in which Macca laid bare his insecurities about his legacy, both as a solo artist and as a member of the Beatles — and the thing is, the Esquire interview was just one of many times Macca has used the media to simultaneously keep the Beatles flame burning while framing himself in a revised context. In recent years, he claims to have politicized the Beatles’s music and embraced the avant-garde, thus chipping away at a popular perception that John Lennon was the most musically adventurous and politically conscious Beatle. He’s also showing a willingness for keeping the band’s music relevant for the millennial age. He says he is updating “Tomorrow Never Knows” for the electronica genre, and he’s relying on constant touring to keep alive the Beatles’s classics (as well as his own as a solo artist) in the public eye — even though he has no need for the money. Not only does he tour, but he plays all the right festivals such as Bonnaroo, Coachella, and Lollapalooza, which keep his music and the Beatles music on millennials’ radar screens. Some day soon he won’t be able to play Bonnaroo or record with Rihanna and Kanye West as he did in 2015. By chatting up his personal story in the news media, he’s relying on words to leave a digital legacy — one that puts his spin on the history of the Beatles. The streaming the Beatles music is another way to extend the McCartney legacy, forever intertwined with that of the Beatles, for the digital generation. This entry was posted in Music and tagged Beatles, David Deal, Paul McCartney, Ringo Starr, Spotify, Superhype, Yoko Ono. Bookmark the permalink.